SCHEDULE UPDATE: Please note I will be unavailable April 18-28. Apologies in advance if I don't get to respond to you then. Hi, I'm Kat, a freelance graphics designer. I specialize in logo design, but I also do business card & other printed marketing materials, vector illustrations, photo manipulation and minor website customization. For website modification & coding needs, I can hook you up with my coder partner - whether it's Shopify, PHP, ASP or C# that you need, he can do it! "Kat is an incredibly talented, creative designer! 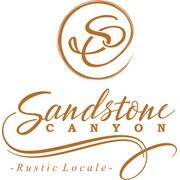 She developed the perfect logo for our company, integrating thoughtful details into the final product. I could not have asked for a better end result! Moreover, Kat is an excellent communicator, making t..."
"Great designer! Professional, talented and reliable! " "This is our second project with katie-kat, and we are very happy with the process, communications and the result!" 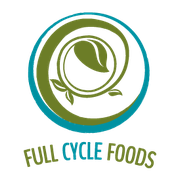 "I was looking for a logo for a vegetarian / vegan kitchen and it should make a natural, biological, professional and valuable impression. katie_kat did an extremely good job with me and her support was very fast and good. It was a great collaboration an..."
"She's incredible!! We love our logo. Thank you"
"She works quickly and implements all wishes. Was a very successful cooperation with Kathi. I thank her very much for her effort and commitment." "magnificent professional, I am completely delighted and satisfied with the treatment and work done, is a great artist"
"I can't say enough about Katie. 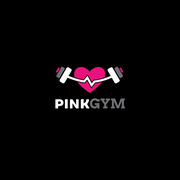 Not only did she capture my vision, but she was easy to work with, responded to my emails timely, and went above and beyond to provide me with a logo that exceeded my expectations. " "Everything was perfect!! She was a pleasure to work with"
"Thanks a lot! I'm really happy with my design! It was fast communication and you really understood my feedback. All the best!" "Absolutely satisfied, it has been a great pleasure to deal with this professional, it has been a wise decision. She has perfectly expressed what I wanted and needed for my project. The communication has been more than correct at all times, is a very att..."
"Second time we have worked with katie_kat. She's awesome! I'll be back." "Very good she did exactly what we wanted. " "She did a great job! Great communication and responsiveness. Incredible attention to detail a positive attitude and very creative and highly skilled. She made my vision come to life in a way I didn't think possible. Highly recommend!" "Awesome communication! Delivery was also flawless!" "Awesome experience the whole way through!" "We really, really love this design. She blew us away on her first attempt - could not be happier." 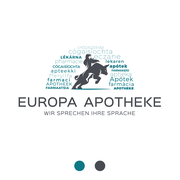 "Very rewarding - professional and responsive - innovative, but innovated with our creative cues, so the result was exactly what we wanted, even thought we didn't know exactly what we wanted. " "Katie, is the best of the best, she is highly talented and friendly with everything you ask for her to do. highly recommended. " "Great and fantastic work by Katie, highly recommended :)"
"Great design, very fast response and willing to make any revision on our request. Very good designer"
"Very easy to work with, quickly made design change requests and great attention to detail! " 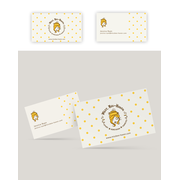 "Thank you for the nice work"
"From the start she had the right idea and created a logo that I really love. Unique design, quick responses and always helpful. Excellent work. Thank you!" "Katie_kat was a pleasure to work with! She is very responsive and I love her design aesthetic." "Very happy with the competition and the result. katie_kat has been very responsive, quick and creative." "It was a interesting process and am happy with the result. my disigner gave her best and was very cooperative. Thanks"
"Katie never fails to impresss! I have a hard time articulating what I want, but I don’t need to because Katie just knows! She is responsive, easy to work with, and follows instructions very well. Thanks again for another successful project!" "katie_kar is an excellent designer. She is talented and can accurately execute all requests. She is responsive and easy to work with. 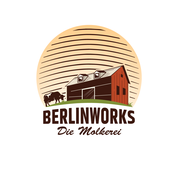 Thanks for the amazing logo design!" "Katie is great. Skilled, talented and responsive. We have really enjoyed working with her!" "My designer did an amazing job! She knew exactly what I was looking for and was very professional and accommodating! I will absolutely be working with her again for any future projects. " "I highly recommend to work with Katie, she is very professional And can do everything to give make you happy with your design, talented person. definitely will work with her again and again. thank you so much." "Katie was very responsive to every request for revisions and she was proactive in looking at our website to show us what her design would look like in our branded colors. It was really a pleasurable experience working with her!" 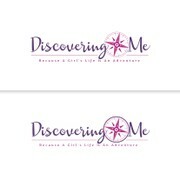 "Katie did a great job I love my new logo!!!!" "Amazing! Such an attentive designer, brought my vision to life! " "Katie did a fantastic job with our design. Her work was prompt and thorough and very responsive to the descriptions and prompts we gave, while also adding her own creative flair. 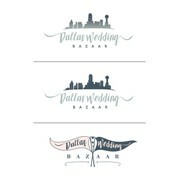 I would definitely recommend her to anyone looking for a great logo design..."
"Katie_kat is terrific to work with! She nailed our platinum logo design contest with her first design in the qualifying round. She is a very talented designer. She is also responsive with her communication and gives thorough feedback. She was truly ..."
"Fourth Design with this artist! Always listens to what I want and brings it to life! 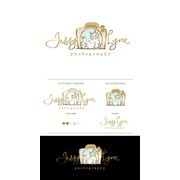 No more contests when my family/ friends need a logo, straight to 1 to 1 with Katie Kat!! :) thanks again! " "I love my new logo! Great understanding of the brief and small revisions/changes came back really quickly. Good communication too. Highly recommend." "Katie was wonderful to work with on my project! She created a great first draft based on my brief, and she was quick with edits and helpful when I asked for suggestions. 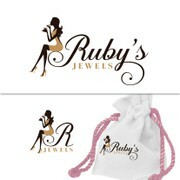 She was an absolute pleasure to worth with on this logo design!" "Sehr gute Arbeit geleistet. " "Wonderful experience all around. Accomplished exactly what I needed and working with katie_kat was a pleasure. " "Katie was just amazing thank you so very much we got a design that we love will use her again. Can't recommend her enough!" "We had some really great designs submitted for our contest but katie_kat understood our vision and went above and beyond to provide multiple versions. She was extremely quick to respond and incorporated our inputs on the first try. She was an absolute p..."
"Wonderfully creative...EXACTLY what I had envisioned and wanted! Katie_kat was such a pleasure to work it! Thank you so much!" "Wonderful designs, amazingly easy to work with, and just made the entire process wonderful!" "Third time working with Kat for myself, My sister, and her Boyfriends company designs. She always makes the time to make sure everything is perfect. Not sure why I keep doing contests when I always end up choosing her! HAH One to One contest next time. ..."
"Amazing yet again, second logo in a year made with 99 designs and Kat and I couldn't be happier with the logo and experience. She works back and fourth quickly and takes all feedback and changes things while being super professional and friendly. 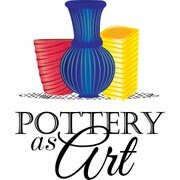 Thanks..."
"I have been thrilled with the exceptional work I got! 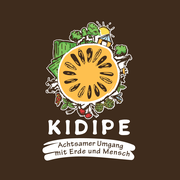 I was really hard to decide the winner because my collegue and I disagreed but in the end we love the design we got." "Thanks for another great and speedy project!" "Excellent work! 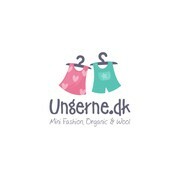 Got an updated look for my logo for ungerne.dk and everything went smoothly :) "
"Always a pleasure working with Katie! Always delivers a superb product in a very speedy manner! Thanks! " "Katie_kat delivered a beautiful design and I am thrilled with the results. Working with Katie_kat was effortless - she grasped the concept immediately and turned out exceptional visuals with very little revision required - all well before the committed..."
"katie_kat submitted very thoughtful and creative designs. She was very easy to communicate with and was prompt when sending back revisions." 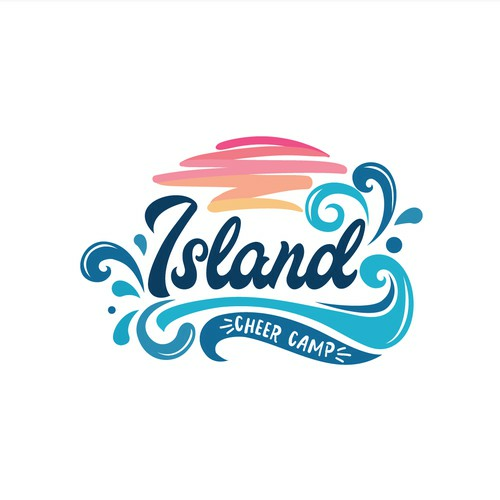 "katie_kat did an awesome job capturing what we communicated in our design brief and made our numerous tweaks no matter how small or picky with no reservations. Was always prompt to respond barring timezone difference. 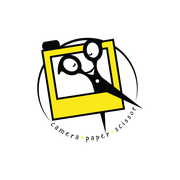 Truly A+"
"Very talented and did a wonderful job of designing our logo, Highly recommended and a pleasure to work with. " "It was a pleasure working with Katie_Kat! She was creative and cooperative." "KatieKat was reliable, creative and responsive. I look forward to working with her on future designs." "Kat really cares about her clients and that really showed in this project. She made sure that the final product was exactly what I was looking for and even took the time to provide instructions to a program I wasn't familiar with. She goes above and bey..."
"Amazing work as usual! Love working with Kat. " "Katie_kat went back and fourth with me all hours of the day to get my design exactly how I wanted it which was hard considering I didn't even know what I really wanted when I started this experience! 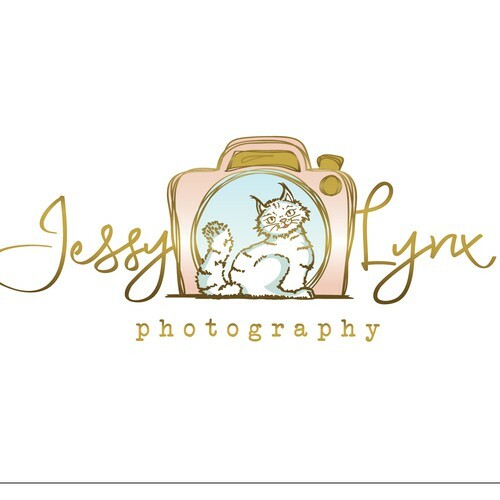 Now a few of my family members who are starting up a ..."
"I wanted a logo for my photography business which mainly covers family photography but also extends into weddings and pet photography. 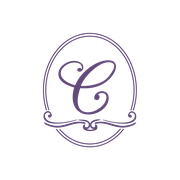 Therefore I wanted a logo design that would appeal to a range of clients, was quirky, simple and had a hand-drawn feel..."
"Kat has done an amazing job with my logo. She understands what you're looking for. She's able to picture what you have in mind. Always provide feedback when you can to get the best result. I would be very happy to work with her again." "Amazing experience! Quick turnaround, very detailed, extremely talented, great communication. Going to hire her immediately for another project. : )"
"Amazing artist. Tremendous quick follow through, wuth revisions. Great communication. Complete joy to work with. " "She worked hard to manage all the adjustments I asked." "Kat is always fantastic to work with! She is fast, reliable, extremely creative and always goes beyond my expectations. 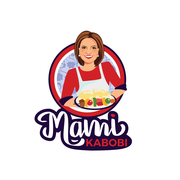 This time she designed another logo for my new project. Thank you!! I'll be back again soon!" "Very quick and exactly what we needed." "Katire_kat did a wonderful job! Very pleased w/ her work. Will invite her to future projects." "One word....Amazing! 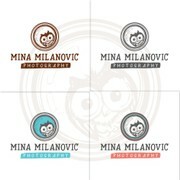 She is a very sweet designer who is responsive and did everything to make her client happy. I was looking for something out of the box, visual play and with a strong message about my business. It was all in my head and seemed imp..."
"Katie_kat was very easy to work with, communicated clearly and often and gave us as many revisions of her design ideas as we asked for. She's very easy to recommend! " "Quick responder and pleasant to work with! " "She was amazing and did everything I asked in a timely manner! Would recommend! " "Above + beyond! Thank you!" "Katie_kat was wonderful to work with. She had excellent follow through and in a timely manner. She understood my vision and was very open to my feedback. I look forward to working with her again and would definitely recommend her to others!" "This was my first package design and Katie helped make it so easy. While browsing designers, I was intrigued and pleased by her gentle style. I invited her to join my contest and she exceeded my expectations every step of the way. She created a custo..."
"AMAZING WORK KATIE!!! LOVE LOVE EVERYTHING YOU GO ! 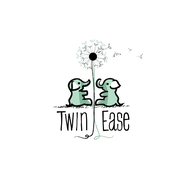 Thank you for our amazing wedding store logo"
"katie_kat was great to work with from the start. she was quickly responsive, pleasant and understood the changes i was asking for from my 'non-professional' designer language. i think the design is hot and i am grateful for her work. " "Great artwork and communication. We are extremely pleased with our new logo and would work with katie-kat in the future. A+ Graphic Designer!" "Really cute design! Katie was quick and responsive! I was very pleased with the final winning design and she gave me lots of revisions along the way!" "If you are looking for a designer that offers excellent design work in a fast and efficient way with the best customer service, then look no further - Katie is your girl! She'll get the job done beyond your expectations! I have been beyond pleased with..."
"Fantastic work as usual! She is fast, very responsive and easy to work with. I would highly recommend Katie for any design work. " "This is the third project I have worked on with Katie and I keep returning because of her talent in design that is evident in all of her work. Katie offers a great customer experience and goes above and beyond to make sure you receive everything you wan..."
"Katie_Kat was fantastic to work with! Throughout the contest, she submitted multiple logo design concepts and made all of the changes I requested in a very timely manner! I was so impressed with her work and GREAT communication. I would highly recommend..."
"Katie_kat was a pro. She was incredibly responsive, interpreted my feedback well, and was very communicative. Consequently, her design was right on point! I would definitely work with her again." "Katie was a pleasure to work with. Great design ability and very responsive to our comments. Will look to work with her again." "I am so grateful for Katie's talent and participation in my contest. Her unique and creative designs along with exceptional customer service set her apart. I would recommend Katie to anyone and she will surely be the first place I go for any future de..."
"Katie_Kat was AWESOME!! 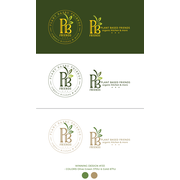 she took our design brief and really added the touch our client was looking for in the design. Truly professional and always responding to our comments and design changes very quickly. I highly recommend Katie_kat!!" 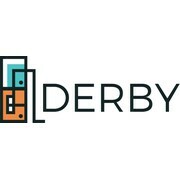 "We had over 127 designers submit nearly 500 designs in our contest, and while katie_kat's initial design was strong enough to make it into the final round of 5, it was her ability to interpret our feedback and quickly generate terrific revisions that re..."
"The designer katie_kat was one of the best people to work with. She was patient with me, and diligent towards helping me stick to excellence. Her design stood out the most even at a glance, and she gave me beyond what I hoped for! CONGRATULATIONS for be..."
"Professional, creative and efficient. A pleasure to work with an eye for detail and understood exactly what I was wanting to achieve. Immediately stood out as a winner from the start! 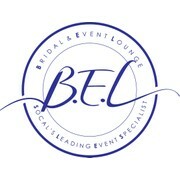 I am so pleased with my logo and would definitely recommend katie_kat..."
"Great quality work. Would happily recommend to anyone seeking a good graphic designer." "katie_kat understood what we were after with the logo design for our acoustic trio, was responsive to our thoughts, and her submission was the fan favorite. Easy to work with. Creative. Thoughtful. Excellent!" "What a great experience! katie_kat was a breeze to work with. Very professional designer. Great ideas and excellent communication. Supplied exactly what we wanted. Look forward to rehiring again. Thanks katie_kat!"